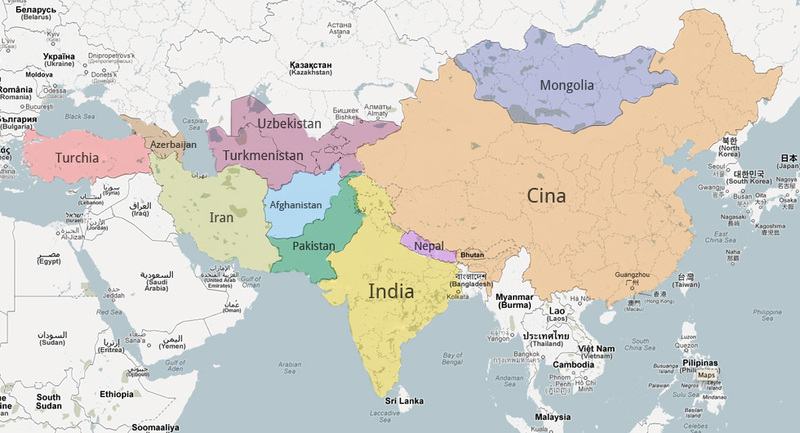 A World to Explore, at the heart of your home. 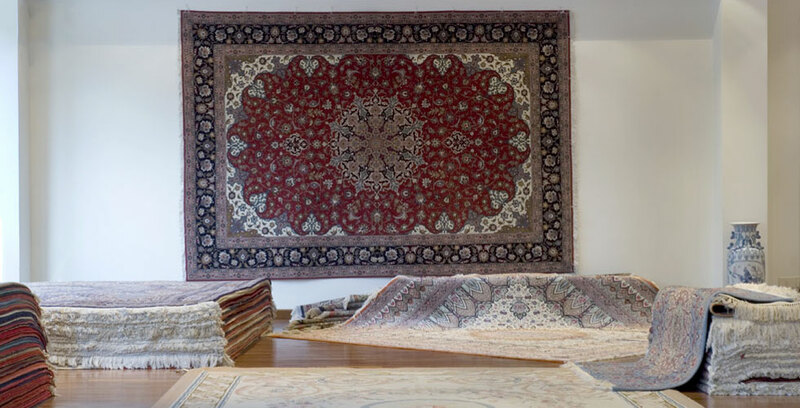 We have always dealt with unique rugs, rigorously handknotted by the most renowed artists, and currently dispose of the greatest and most various assortment of rugs, both modern and classic. 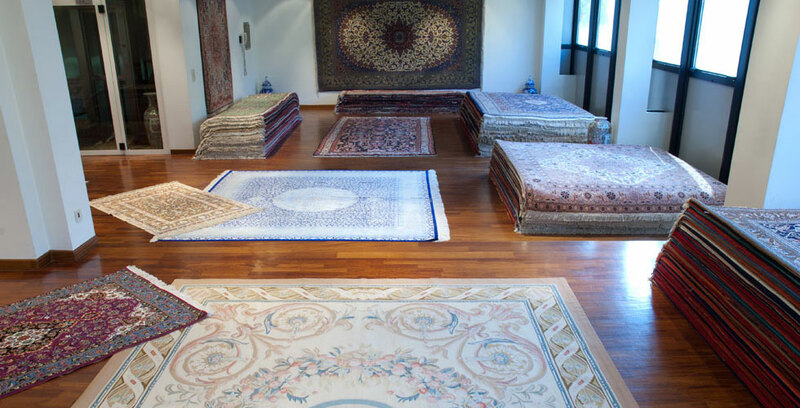 That's how Dr.Ahmadi briefly describes the incomparable collection that you can admire at his Palace of Rugs. 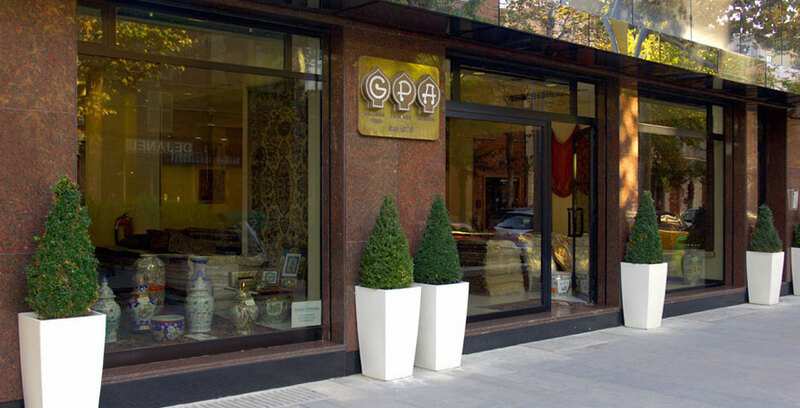 Since 1979, Galleria Persiana Ahmadi represents a standpoint for all those looking for Style, Quality and Convenience. 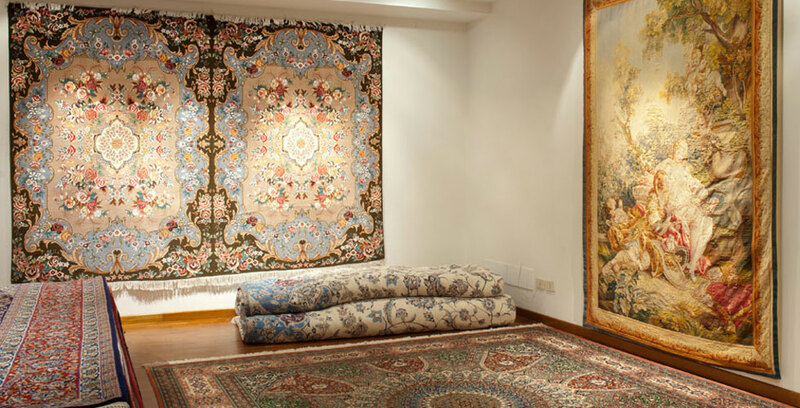 Galleria Persiana Ahmadi selects, manifactures and directly imports hand knotted rugs from a variety of middle and far eastern countries, such as Iran, Turkey, China, India, Afghanistan, Pakistan, Uzbekistan, Turkmenistan, Mongolia, Azerbaijan. We also offer tailored Fitting, Wedding Lists, and have a laboratory for Conservation and Restoration. 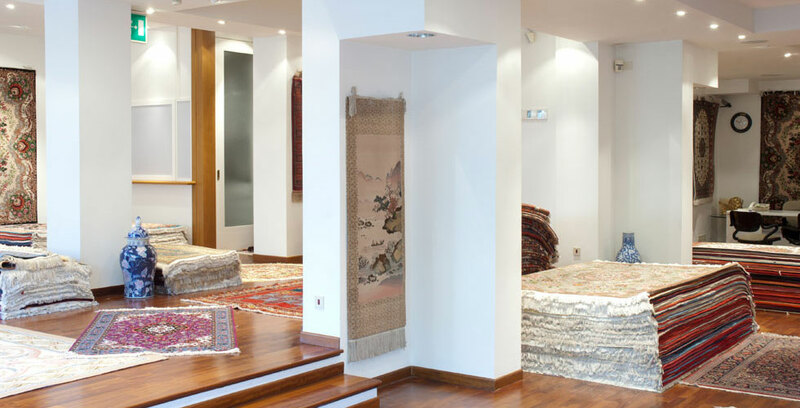 The main showroom in Civitanova Marche, Corso Umberto I, 183 is the most prestigious gallery dedicated to hand knotted rugs. With its six floors full of authentic masterpieces, everyone can find the treasure they have been looking for. unless he does it Devoutly." Carlyle's statement is perfectly fitting when trying to explain the bound between man and rug; a growing knowledge that has broken time and space boundaries through the centuries has made it possible for connoisseurs and fans to quickly escalate in numbers. 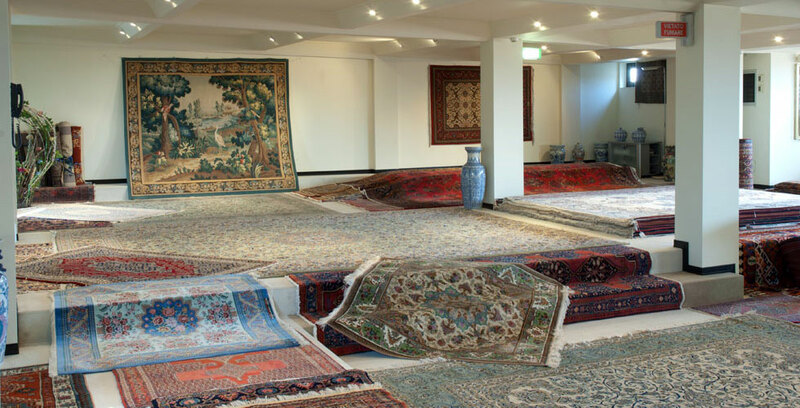 Nevertheless, for many people, carpets has only been a marginal object, measured by inadequate standards. This is simply because they haven't taken into account the Devotion that Carlyle used to mention. A kind of devotion that comes from a surprisingly distant time, and that still constitutes a silent tribute to our bare hands: their ability to elevate great craftmanship into Art. Living object, to gaze upon and to make use of, the hand knotted rug complies with traditional standards that are handed down through generations. 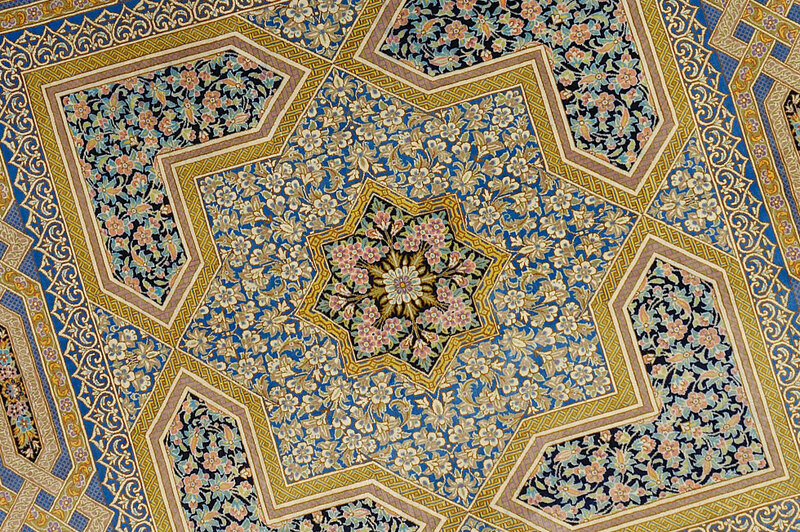 Patterns and colours not only determine each piece's style, but also its character and spirit. Decors and chromatic blends express its land of origin and thus it is through the analysis of the materials, of the colors and of the design that we can identify the time and place of manufacture. These features also change with the passing of time; searching through the patterns that evolve in both execution techniques and aesthetic result is an extensive and exciting effort, that can yield poetic discoveries. As much as grandpa's old wooden chest symbolically narrates our family story, a hand knotted rug can put this story in music. A daily, merry sounding duet whereas before our eyes what we see are just the last metres of a marvellous fabric coming from a dreamy loom, lost in the waves of time and which, wandering through our imagination, from the tribe tent has landed in our living room, be it under the shadow of the Big Ben, the Tour Eiffel or of the Colisseum. 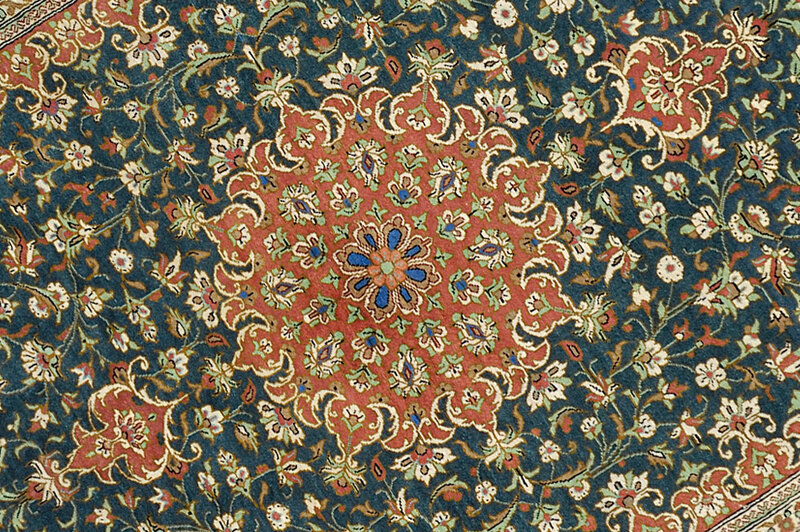 study carpets and there you will find all the knowledge you need." 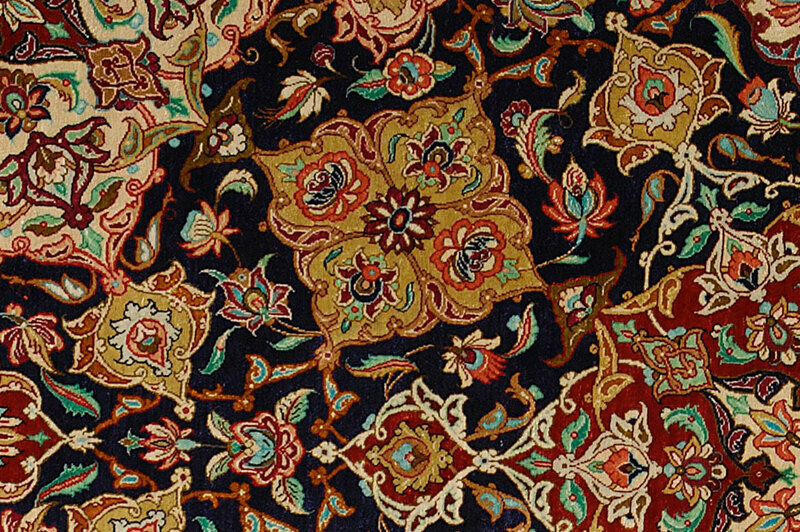 Each and every one of our rugs comes with its unique certificate of authenticity including its features and origin. 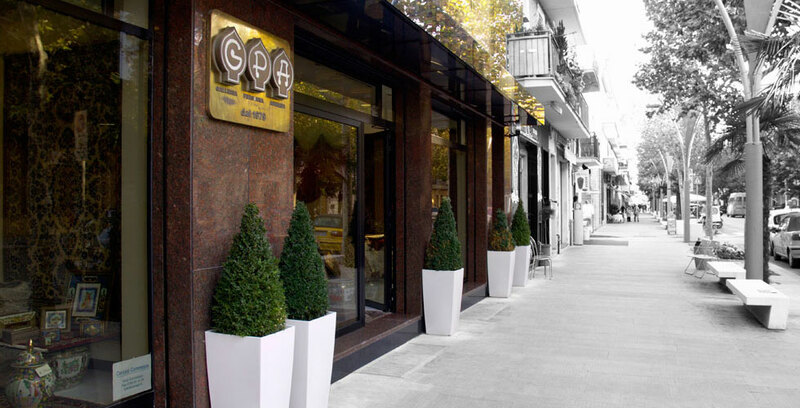 A collection of more than 3.000 pieces on a 1.000 sqm showroom, and growing, is capable of fulfilling every request, be it of a family, a collector, a business operator or mere enthusiast. 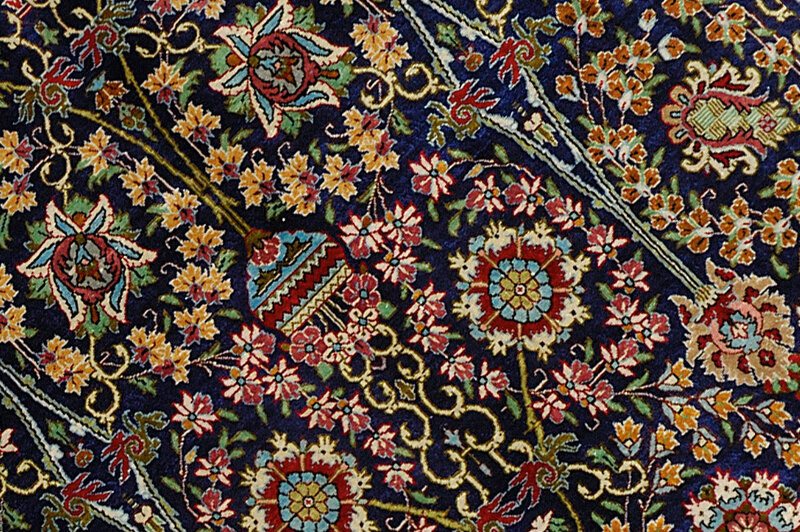 "A rug is knotted with a soul's yarn"
Hand-knotted rugs, since they are made of organic threads, are subject to natural processes of wear and deterioration. The main alteration causes are direct exposure to sunlight and obviously tear from use. 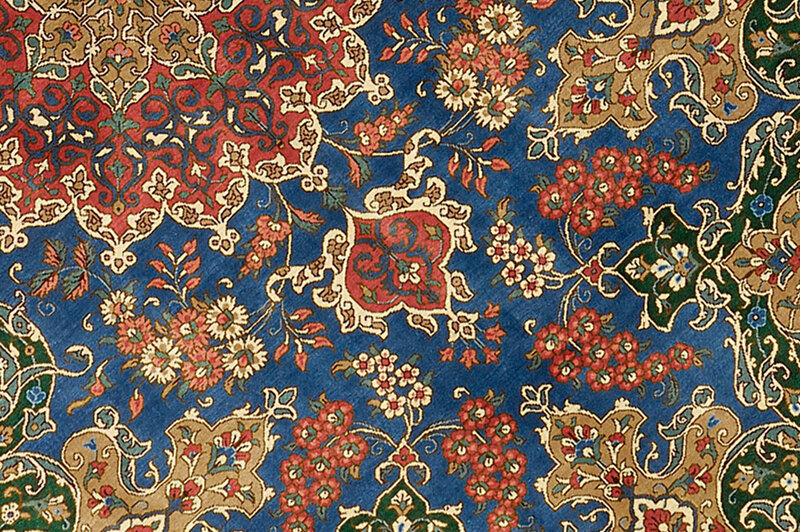 Below you will find a few basic guidelines for a basic rug manteinance, bearing always in mind that what lies on the floor shall always been used without many compromises and that in most cases a little common sense is more than enough. For daily cleaning, a basic indian millet, sorgun weep or even better a common vacuum cleaner once a week will do the job. We suggest reversing the rug upside down once a year and also rotating it periodically in order to avoid damage from wear to be concentrated in specific parts. If stains show up or it gets wet, try and remove the staining substance as quickly as possible and then proceed to cleaning with cold water and soap. Just wet a clean cloth, add a little liquid soap and rub over the target portion, without soaking the rug, then remove the excess foam and humidity with another clean and dry cloth. It is a good rule to wash the whole rug every two or three years. Even though it is a fairly simple task, it can get pretty exhausting as a wet rug gets very heavy and it is important to dry it quickly. 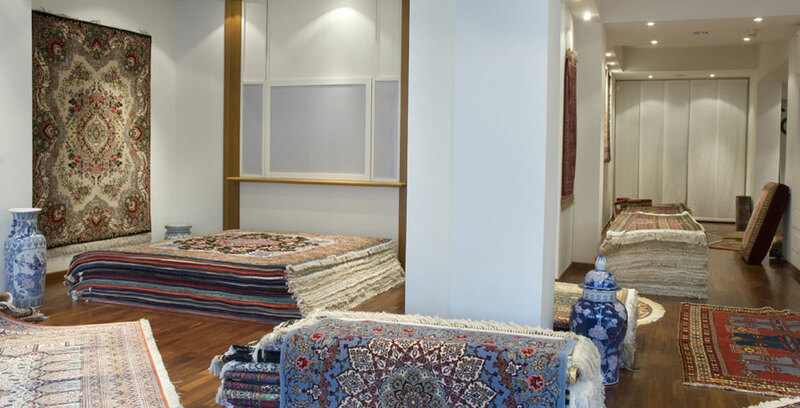 Galleria Persiana Ahmadi has its own laboratory for all rug cleaning, maintenance and repair needs. 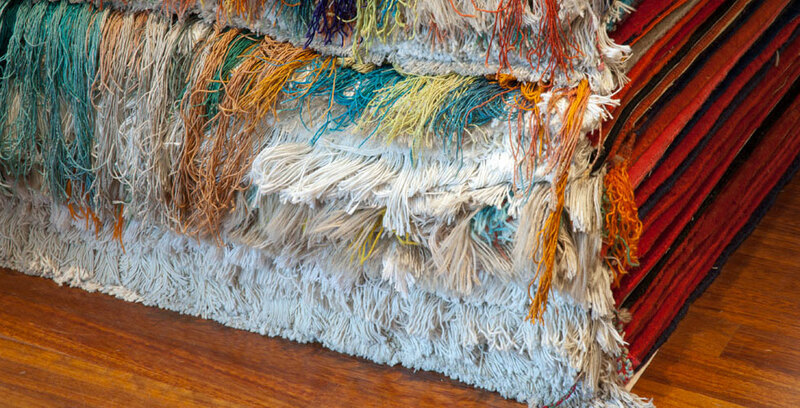 Since they are made with organic fibres dyed with vegetal and mineral substances, hand knotted rugs can not be exposed to chemical cleaning substances. Please refrain from using carpet foams or agents suitable for industrial rugs, in order to avoid putting the chromatic balance of the rug at risk. Do not shake your rug on the balcony, nor hit it; violent mechanical action can compromise its thread and speed up decay. Do not wash your rug with bleach or vinegar. Do not wash your rug with hot water. 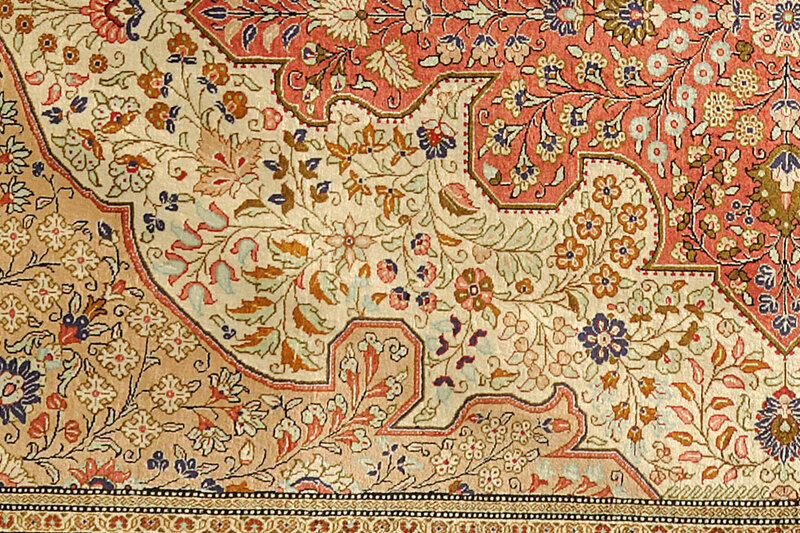 Avoid keeping your rug in a closed environment for too long. - Rugs do not produce or bring any kind of dust. While it is true that certain low cost knottings may present deposits of wool from the final trimming phase, and that in any case cease after the initial weeks of use, no rug contributes to render an environment dirty. 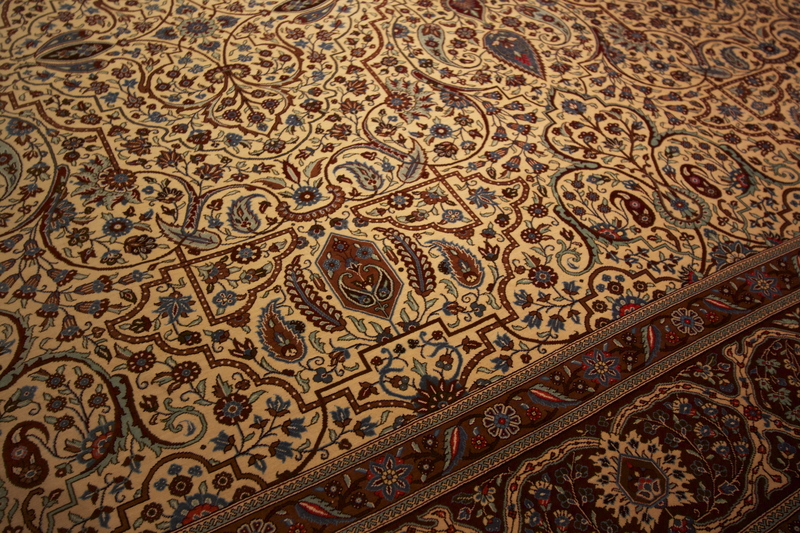 Rugs are not suitable for people with allergies or suffering from asthma. 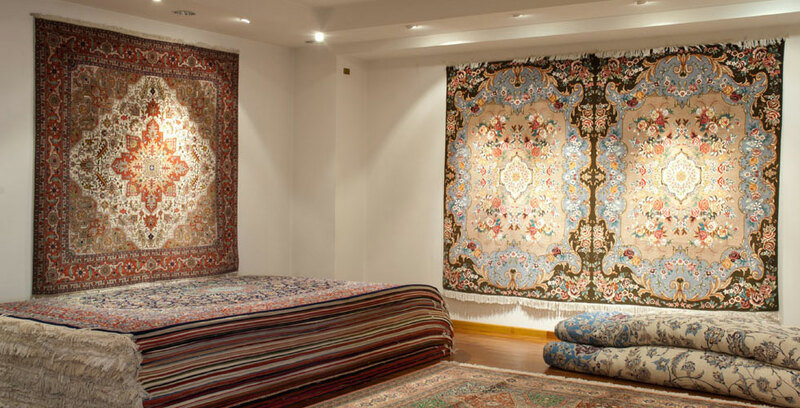 - Hand-knotted rugs are made of natural wool, cotton and/or silk, as much as the vast majority of clothings that each of us hold in their wardrobe. - And why so? As much as with the first point, no rug will scrap fur from your pet. I live in a modern house, so I need a modern rug. - Or, viceversa, I live in a classic house, do I need a classic rug? 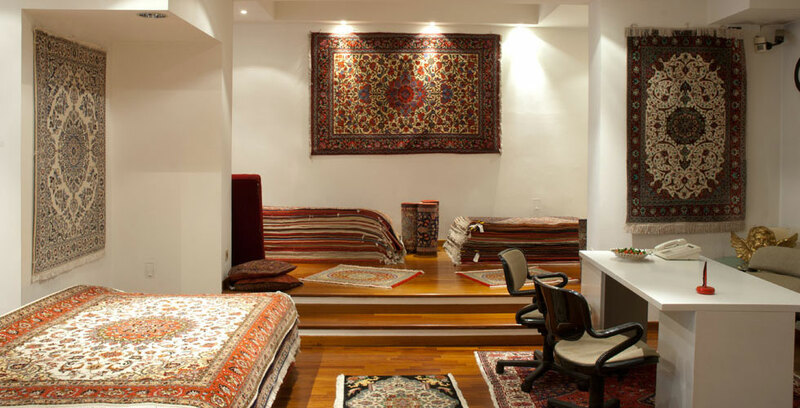 -There is no actual "rule" when choosing the best rug for you. If really thought of what it is, as a work of art, it should be chosen as a stand-alone piece, as much as a picture in a frame: you don't select it according to your walls' color. 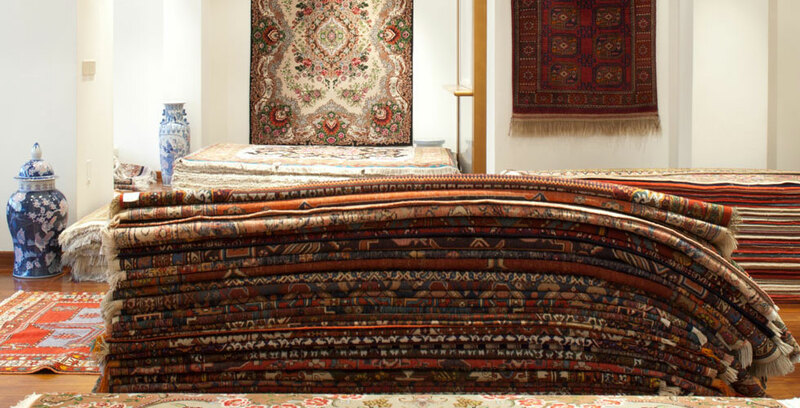 Besides, the lifespan of a rug is considerably more consistent than that of any other piece of furniture, and therefore we thouroughly suggest that you always choose the rug that you fall in love with for what it is rather than for how it "fits" in the room. 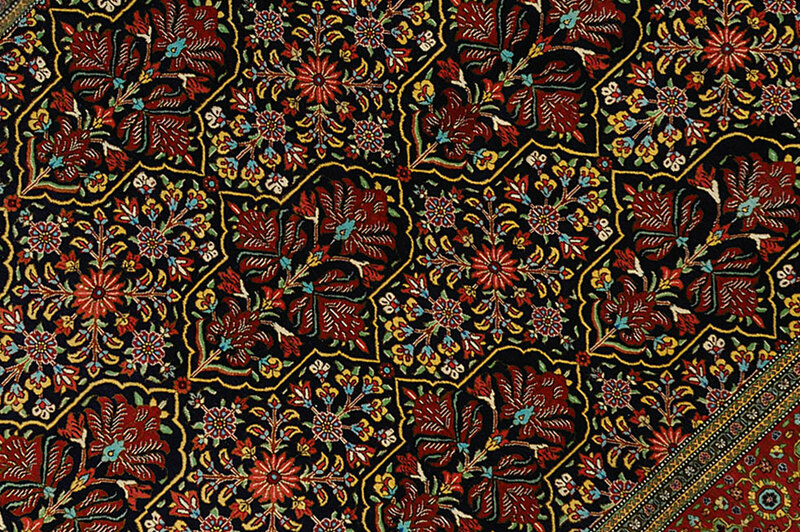 I heard that there rugs are knotted by children because they are the only ones with fingers tiny enough to work with such dense looms. - Absolutely false. Mastering the art of knotting is not a matter of finger size, it is a matter of passion, devotion and experience. All rugs at Galleria Persiana Ahmadi come from laboratories that do not involve child labour.